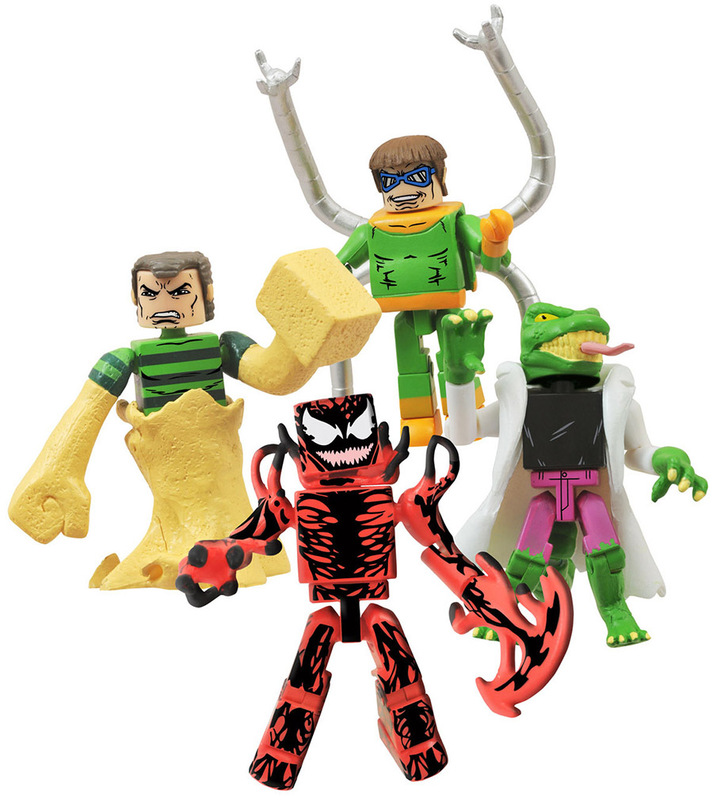 This 4-pack features Tendril Attack Carnage, Transforming Lizard, Arm Attack Doc Ock and Shape Shifter Sandman. This set also includes parts to turn Lizard into Curt Connors, Sandman into Flint Marko, and Carnage into Kletus Cassidy ! This is the definitive Spider-Man Villains Minimates set, and possibly one of the best Minimates sets of all time!